Social media has been a hot topic for months now. Weve heard everything from its here to stay to companies not involved are losing out on opportunities. Though these statements are typically true, do we know why? Do we know why social media is adopted by more B2B companies every day? Reaching the right audience makes all the difference. Do you agree? 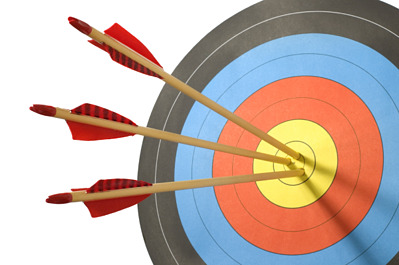 Increasing your visibility to your business' target audience saves your company time and resources. It also allows your business to potentially connect and develop stronger relationships with customers. However, being in front of the right audience isnt the only important aspect to think about. You also want to make sure you are providing your audience with all the relevant information they are searching for. Hey, B2B: Grow Up and Get a Social Media Strategy, Will You? Many B2B marketers are still avoiding social media, wondering, "When business customers do participate in social media, how can we tell whether it works?" OK, let's put that excuse to rest once and for all. Social media is for socializing—just as when you go to a tradeshow and strike up a conversation with a prospect or attend a seminar or interact with any professional group in-person. For the past year or two, social media has been all the rage. Companies are choosing to get involved in social media and users are growing exponentially. It doesn't seem to be slowing down today, instead it continues to grow. So why are companies getting involved anyways? What is social media? One of the most effective ways industrial marketers can use social media for marketing and sales is by integrating social into other marketing tactics. In particular, e-mail marketing can be easily combined with social media marketing to enhance the effectiveness of each individual effort. Be creating integrated and interactive marketing campaigns, you can increase the chance that buyers will engage with your company. Many articles on this blog focus on building business, targeting new customers and reaching new markets. But customer retention is just as critical to your business's success. The best way to help maintain your current customers is to offer good customer service. Too many stories in the media today point to changing conditions in China as the key reasons for the resurgence of manufacturing in America. A recent report from Thomas Industrial Network finds that many industrial businesses in the U.S. are actually taking active steps and investing in strategies to help them grow and expand. The report states that 58% of product and custom manufacturers are more aggressively pursuing business in new industries, while 66% are investing in new and/or innovative products or services. There is a prevalence of knowledge and information about how social media can be used effectively in the B2B industrial sales and marketing cycle. Yet many individuals still hold misconceptions about these platforms and how they work.